Bruce Springsteen wrote the song “Wrecking Ball” in 2009 to commemorate the tearing down of the Meadowlands in New Jersey. 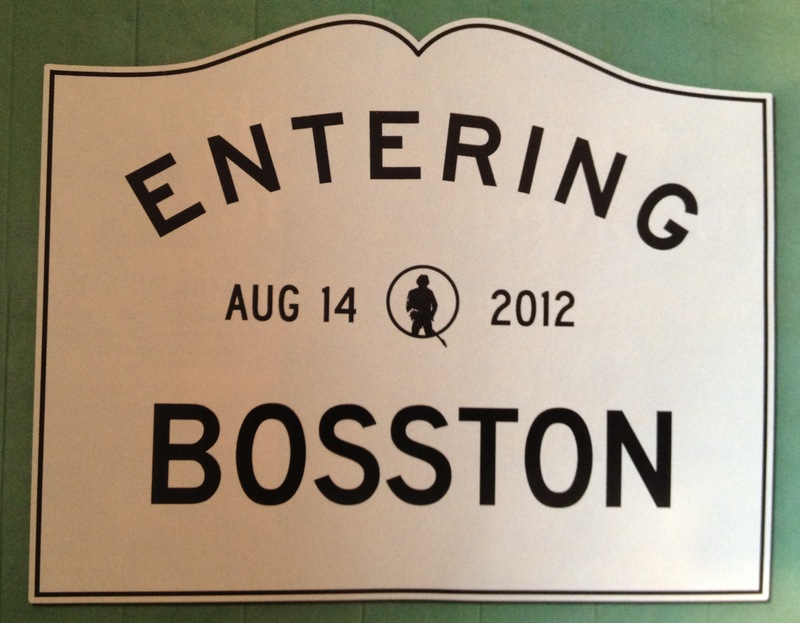 It wasn’t too long ago that Fenway Park was threatened with a similar fate. But here we are celebrating the 100th birthday of America’s Most Beloved Ballpark, with a wrecking ball nowhere in sight, and Springsteen is back to play his third and fourth shows at the stadium in less than a decade. And then, during “My City of Ruins,” he took things even further. 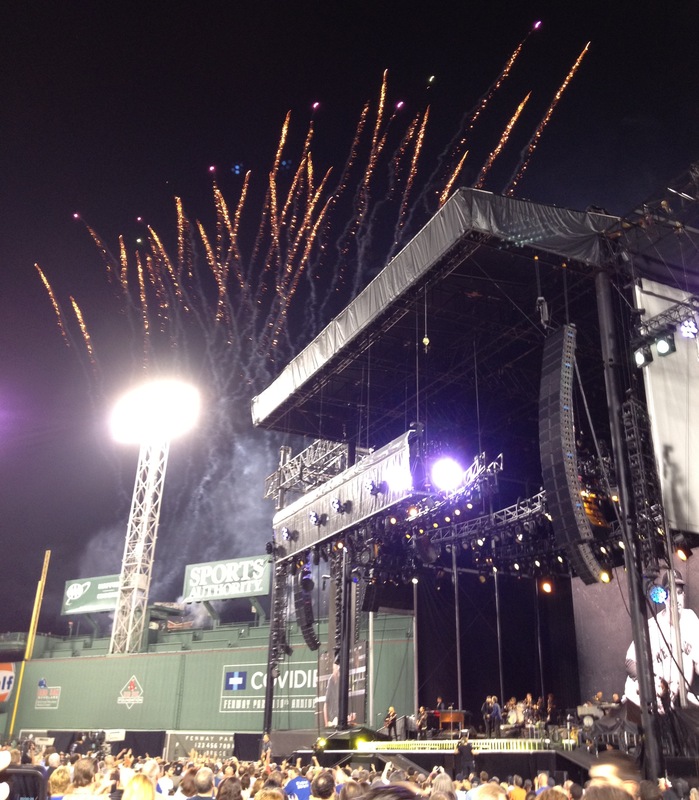 He even called for a spotlight to be shone on Pesky’s Pole in right field, one of several mentions of Johnny Pesky that were made (another being his pictures shown on the monitors during the encore). That’s right. 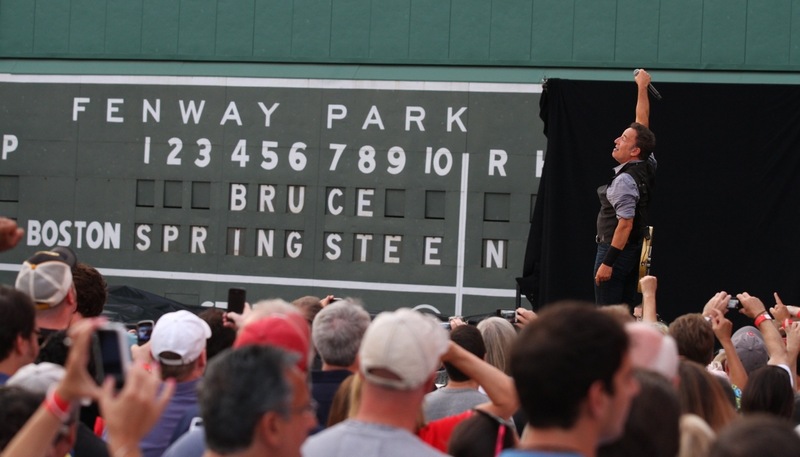 As if continuing to acknowledge Clarence Clemons’ passing wasn’t enough, here in Boston, Springsteen is also helping us grieve for Johnny Pesky. Is there anything this man won’t do for his fans? But this created a tricky balancing act last night, as Springsteen at times struggled with paying tribute, promoting his current album, and hosting what he called “a house party,” all in one show. There were pacing problems — especially in the first third (good as it was, “Spirit in the Night” shouldn’t have followed “My City of Ruins”) — but the end result was a show to remember. In particular, the middle third — once the band was warmed up and “Jack of All Trades” was out of the way — showed once again that no one puts on a better live show than Springsteen and the E Street Band. The encore took everything to another level, with Springsteen and the band following the underrated “We Are Alive” with a string of uptempo classics: “Born to Run,” then a positively jubiliant “Rosalita (Come Out Tonight)” (is there any other kind? ), then “Glory Days,” “Dancing in the Dark,” and yes, “Tenth Avenue Freeze-Out,” with the pause for Clarence Clemons still there (see below for video). Oh, but “the curfew hating” E Street Band wasn’t done there. They ended the show with a fireworks-enhanced “Twist and Shout” that happily went on and on and on, as if to give a giant F-U to anyone in the neighborhood who might complain. As awesome as much of this was, I was particularly stuck Tuesday night by the band’s performance of “Thunder Road,” a staple of the show and an emotional high point in March, that seems to have only grown more important in stature since then. With the entire horn section augmenting Jake Clemons’ sax solo (not that he needs the help), the song now has a more majestic sound. If it’s possible for it to be even more of a classic, then that’s what “Thunder Road” has become in these current performances. How 62-year-old Springsteen and his band do it, night after night after night, I just don’t know. But they continue to impress, even after all these years. 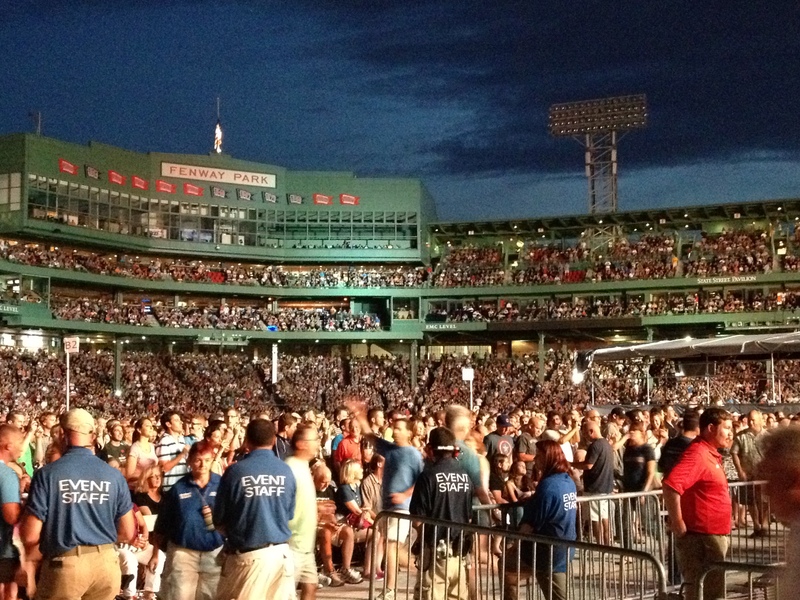 Springsteen is a Jersey Boy, but he and Fenway — and Boston in general — are definitely a good match. It’ll be fun to see what he does on night two of this home stand. ← Is Your Brand in on the Joke? Or Is the Joke on You?